Are we actually going to transact in cryptocurrencies? Bitcoin and other cryptocurrencies have already disrupted the financial industry and will continue to do so as their adoption increases. On one hand, where Artificial Intelligence (AI) and advanced automation is set to transform the world and the way it functions, cryptocurrencies, on the other hand, has left business leaders and banking institutions with their heads scratching. A state of both uncertainty, as well as excitement, surrounds them, which forces some to agree and other to disagree with this wave of transition in the culture of currencies. A few days ago, the combined market cap of cryptocurrencies touched a record high of $180 billion. And, it turned many heads on. The roaring sound of cryptocurrencies gaining the momentum can be now heard loud and clear, especially Bitcoin. However, there are many cryptocurrencies such as Litecoin, Ethereum, Monero and many others, but the market for Bitcoin, the first decentralized cryptocurrency, has grown unprecedentedly. When Bitcoin exchange rate (BTC) was established in the year 2009, the rate set for it was US$ 1309.03. Years later in June 2017 it was trading over US$ 2900. However, Bitcoin left the world surprised when on September 02, 2017, it crossed US$ 5000 mark. Looking at these figures, it is apparent that Bitcoin is doing a good business. 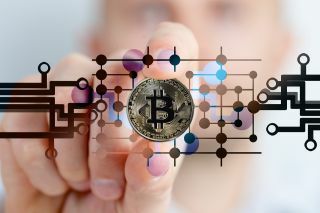 Even more, it won’t be wrong to say that many business leaders around the world have started transacting in a virtual currency, which goes beyond the regulation of banks, governments, and the mainstream financial system. Bitcoin seems to have become parallel to the mainstream financial system, however, not yet recognized or backed up by any government in the world. In 2008, Satoshi Nakamoto, or better said - father of Bitcoin, mentioned this cryptocurrency to be “A Peer-to-Peer Electronic Cash System.” And to this date, this digital currency has a high exchange rate, which fluctuates with the changing geopolitical conditions. With virtual currencies such as Bitcoin said to be leading to potential financial risks and governments ordering a crackdown on exchanges trading in them - the future of these cryptocurrencies seems to at peril or may be not. And, therefore, it becomes imperative to discuss different dimensions and nuances of Bitcoins - a digital currency, which is just about transferring a value to each other online, with no physical existence. Does a Cryptocurrency such as Bitcoin Have a Future? Recently an announcement by BTC China stating they will stop all sorts of trading in cryptocurrencies from September 30, 2017, comes as a major setback. And, it became of the important reasons for the fall of Bitcoin exchange value. In another report, John McAfee, MGT Capital Investments, is stated saying, “I’m a Bitcoin miner. We create Bitcoins.” The year 2017 is marking a rapid transformation in the value of Bitcoins. However, Bitcoin is the beginning of a new age currency, which ought to face agreements and disagreements. Cryptocurrencies such as Bitcoin will have to prove its stability and credibility before people can completely rely upon to accept and make regular transactions. Recent incidents of Equifax data breach and WannaCry ransomware attacks strongly proves that law-enforcement agencies and Governments have still to do much work towards enhancing cyber security. WannaCry ransomeware attackers demanded Bitcoin payment, which undoubtedly proves that these cryptocurrencies are doing business on a wider scale. Virtual currencies such as Bitcoin are potentially being used by organized criminals and terrorist groups too. On other hand, a research report published by Cambridge University informs that approximately 6 million people across the world are actively using Bitcoin to buy goods. With the growing support for Bitcoin eco-system, many retailers across the world have started accepting it. The report further informs that cryptocurrencies such as Bitcoin are also active in black market businesses such as buying and selling of drugs and illicit weapons. There are hundreds of virtual currencies active in the world market. And the absence of a central system administering them, these cryptocurrencies are has their own separate public ledger called blockchain, which is managed by a peer-to-peer network. Is Bitcoin like an illusion, which ‘makes you feel rich’ in reality? A virtual currency, the value of which increases and decreases with statements of business leaders and announcements made by institutions, seems to be active as other currencies in the mainstream financial system. Cryptocurrencies such as Bitcoin, which is making headlines and which has got backing from many business leaders across the world - why it is not getting backed up by governments in the world. Cryptocurrencies are similar to points that you earn while playing games online. You can feel your happiness and the sense of victory but in the real world, those points have no value. If we take a pragmatic approach, virtual currencies such as Bitcoins have a long mile to go. Governments should recognize it; businesses should widely accept it; and most importantly the people should rely on to transact in Bitcoins. Unless and until Bitcoin remains within the periphery of the secret business world, it will give a feeling of potential financial risk. And as result, neither the people nor the economies will be able to rely on cryptocurrencies such as Bitcoin. Bitcoin has no physical existence. It is like an illusion, which ‘makes you feel rich’ in reality. At least, as of now, it seems to be the only conclusion that can be drawn.